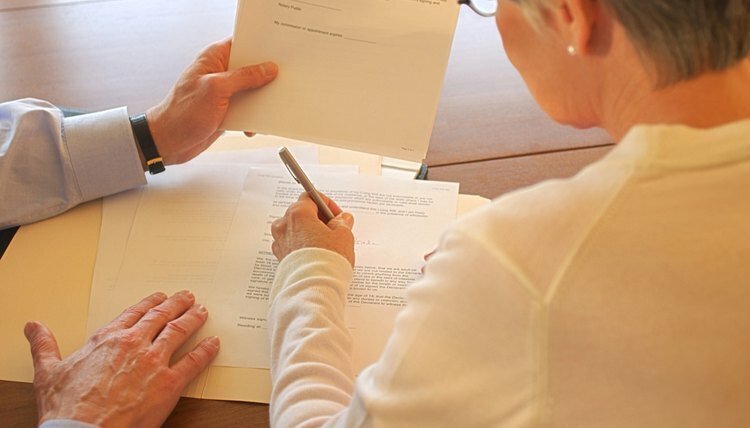 A power of attorney document may be used in real estate transactions in Florida so that one person may sign documents or make agreements on behalf of another. The person giving a power of attorney is referred to as the “principal,” and the person receiving the powers granted in the document is the “attorney-in-fact.” State laws often govern requirements regarding powers of attorney and their acceptance. People desiring to sell or purchase vacation homes or other real estate in Florida may be pleased to know that Florida’s adoption of the Uniform Power of Attorney Act, effective October 1, 2011, may make it easier to use an out-of-state power of attorney. A limited power of attorney may grant to an attorney-in-fact the authority to sign all documents and perform all actions related to a specific real estate transaction on behalf of the principal. Limited powers of attorney will generally specify what actions may be taken by the attorney-in-fact and include the legal description of the property or properties involved. A principal may grant a limited power of attorney that relates to more than one parcel of real estate, and the document may state that it terminates once the specified transaction has been completed. Most powers of attorney terminate at the death of the principal unless sooner revoked or terminated. Any trusted individual or institution may be appointed as attorney-in-fact to act on behalf of the principal under a general power of attorney. This type of power of attorney usually gives the attorney-in-fact broad powers relating to real estate, financial and other business matters. General powers of attorney do not usually specifically describe the property owned by parcel nor limit the actions of the principal. A power of attorney created and signed in the state of Florida is acceptable for use in Florida real estate transactions if signed in the presence of two witnesses and properly notarized. Notary acknowledgments on powers of attorney are required to state the name of the person signing the power of attorney, the date signed and whether or not the person signing is personally known to the notary or produced valid identification. If identification is provided, the type of identification should be set out in the acknowledgement. Military powers of attorney executed according to federal law are not subject to any state restrictions regarding form or substance. As of October 1, 2011, the Florida Power of Attorney Act considers a power of attorney executed in another state to be valid in Florida if it complied with the execution requirements of the state of execution at the time it was executed. Therefore, any one relying on a power of attorney to conduct real estate transactions in Florida will no longer be allowed to reject a power of attorney that complies with another state’s execution requirements solely because it doesn’t comply with Florida’s. The closing attorney or title company may require an affidavit executed by the attorney-in-fact stating that the power of attorney has not been revoked, authorizes the action to be taken by the attorney-in-fact and that the principal is not deceased at the time of execution of the documents. Durable powers of attorney stating that the document remains effective even after the future mental incapacity of the principal are often more readily accepted by a title company or closing attorney. Does a Durable Power of Attorney Require Witnesses? What Is an Agent Under a Power of Attorney for Health Care in California? A power of attorney for health care is a legal relationship where one person, known as the agent, makes medical decisions for another person, known as the principal. In California, the document must meet certain formal requirements to be considered valid. Once executed, the powers delegated to the agent can be as broad or as limited as the principal desires, including the power to make anatomical gifts and end-of-life decisions. A power of attorney may generally be revoked by the principal at any time. Can the Seller Give Power of Attorney at the Closing? A real estate seller may give another person power of attorney before or during the deal's closing. The power of attorney document allows the person, known as the agent, to act for the seller during the sale. The agent signs papers for the sale, such as the deed, in place of the seller. While a seller giving a power of attorney for a closing isn't unusual, there are some matters to consider. Do You Need to Have a Power of Attorney Notarized for the State of Texas?